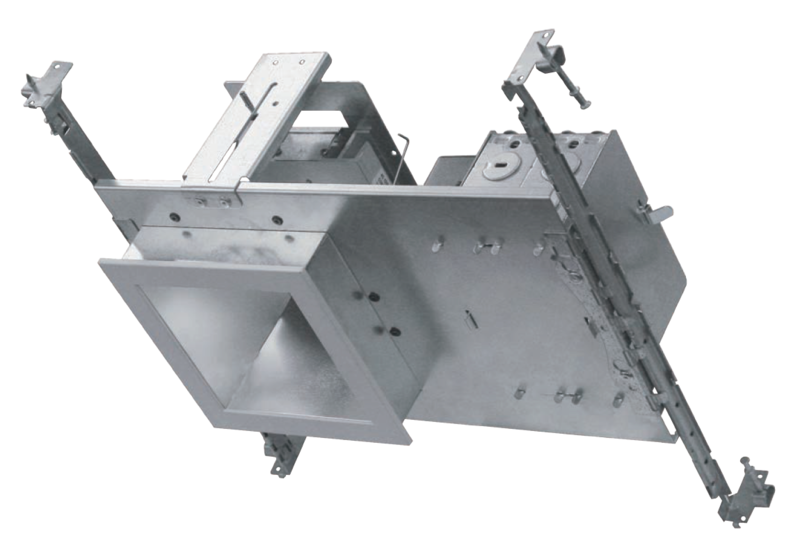 • 20 gauge galvanized steel 6” X 6“ square aperture housing adjusts for ceiling up to 1-1/4” thick. •	Semi-matte diffuse lower reﬂectors under the upper reﬂector. •	60˚ cutoff viewing angle of light source. •	Trims for straight downlight with ﬂood lens. • Light engine and driver can be replaceable through aperture below ceiling. •	Dimmable driver for 0~10V dimmer is standard, (consult to factory on other options for Dali, PMW etc). 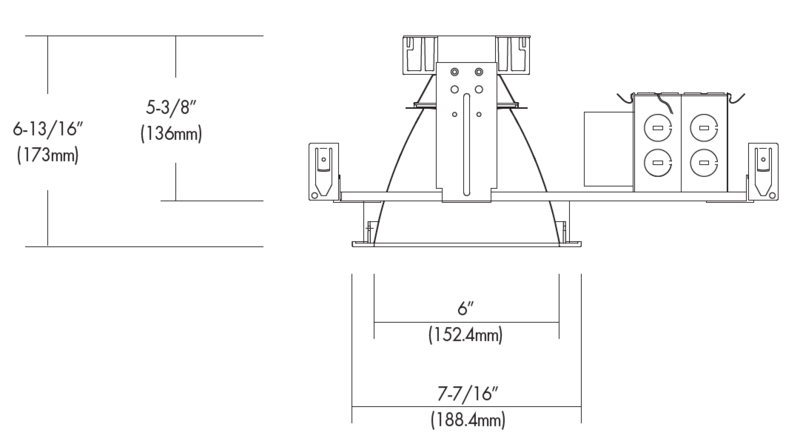 •	Provided listed j-box and adjustable height and multiple channel brackets. •	cETLus Listed.